IJ standing for "Inspirational Journalist" & "Inspirational Jockey" is a LEAP in journalism & media that shall drive the world towards Higher Inspirational Quotients in times to come as it deepens it reach. The world has VJs, MJs, RJs and More. It was about time that a new term was coined for journalism that covered only inspiring news or inspiring stories. This was coined by the founder & chief editor of Inspiration Unlimited eMagazine and today is a buzz word among masses. In a time today where negative news, gossips & demoralising news gets hits that touch millions in no times, it was hard for the founding team of IUeMagazine to keep faith and belief that they would be read and their content would find a market. Something that started as a modest newsletter which later got converted to a monthly edition bringing together positive inspiring articles & poetry from people from various walks or life and professional backgrounds Inspiration Unlimited eMagazine today stands tall among the most popular eMagazines across the web producing inspirational content and news consistently. The special term coined at IUeMagazine of “IJ” that stands for "Inspirational Jockey or Inspirational Journalist” introduced a craze among people to jump onto the opportunity which not only allowed them to perform to build a career, it also brought them unclose with real inspiring people and also gave them a chance to be the first hand learner of the struggles of inspirational icons today. The Inspirational Journalist’s role is to connect to people who have great inspiring stories to themselves or communicate to people who have heart touching stories and then pull out the deepest inspiring angles of the stories to inspire a change wave through the write-ups that get published. 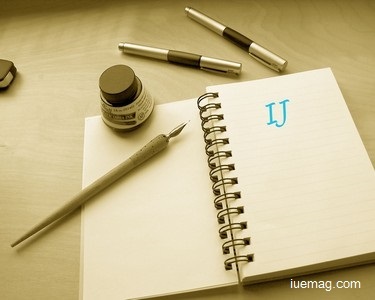 "Pen is mightier than the sword" was once well said & today IUeMagazine stands as a living example to move people towards greater impact numbers, better standards of productivity, stronger inspirational quotient, higher energy levels, quality results and more empowered mindsets. The IJs (Inspirational Journalists/Inspirational Jockeys) play a crucial role along with the Insprodigians of the IUeMagazine in making this vision turn a reality by the day and move the world towards waking up to an "ALL POSITIVE, NO GOSSIPS” Media platform. Any facts, figures or references stated here are made by the author & don't reflect the endorsement of iU at all times unless otherwise drafted by official staff at iU. This article was first published here on 22nd August 2015.